Dorothea Tanning grew up in the small town of Galesburg in rural Illinois where she said "nothing happened but the wallpaper." 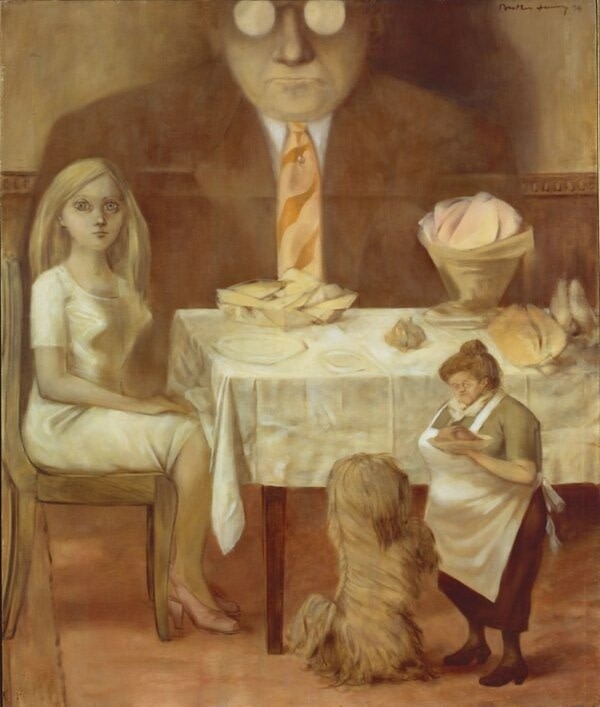 Many of Tanning's paintings explore the traditional image of the family and the home, frequently subverting 'family values'. Considering Tanning's particular fascination with mothers, fathers, domestic space and female sexuality, this event aims to broaden our understanding of Tanning's work and Surrealism through the lens of these themes. Speakers include artist Rachel Goodyear, curator Catriona McAra and Ami Bouhassane, curator and trustee at Lee Miller Archives & The Penrose Collection. The panel discussion is chaired by the exhibition's co-curator Alyce Mahon.